I’m joining a group of blogging friends for the Seasonal Simplicity Christmas series. 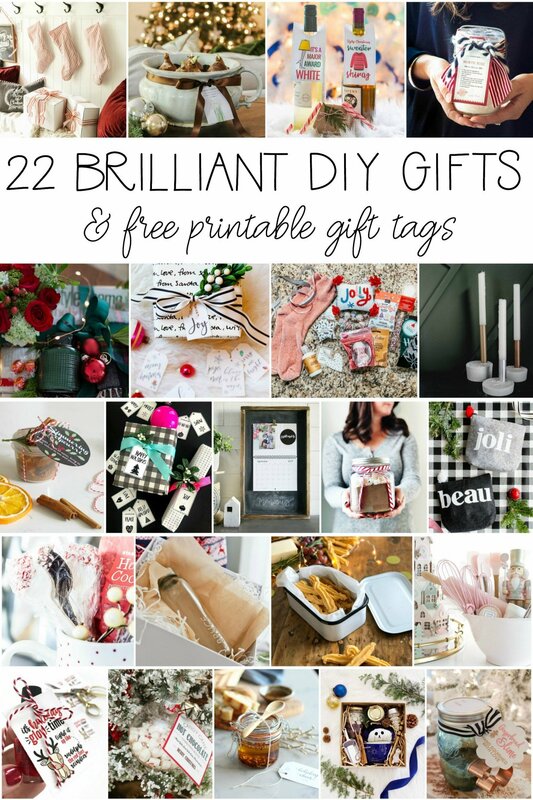 Today we are sharing great, DIY gift ideas! I haven’t softened my heart toward slime, I still detest it. But, my kids are obsessed and they love making it and exchanging it with friends. Maybe the slime craze has died down where you live, but around here it is still going strong. The crazy thing is, as much as my kids have made themselves or bought at the store, they still love getting it as a gift. 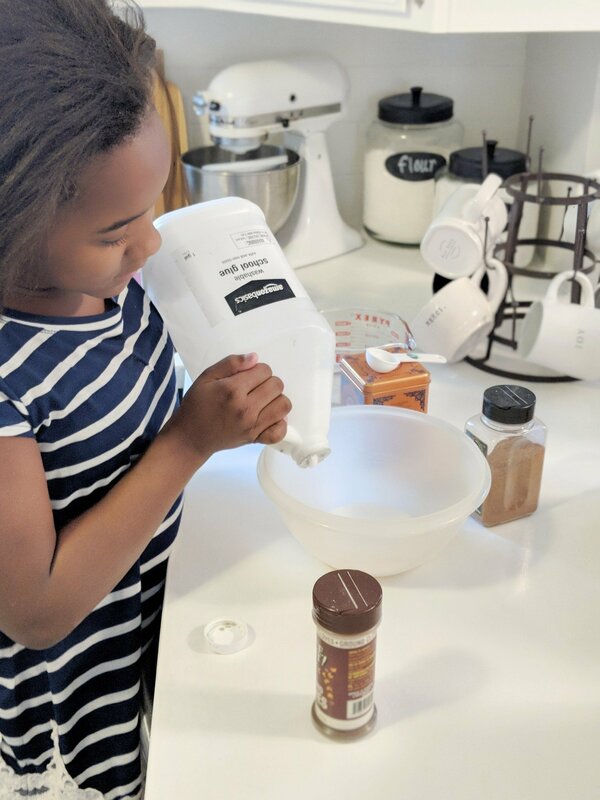 This year, my kids have been asking to make slime to sell at craft fairs and give as gifts. While I would really rather keep my distance from this stuff, I just had to step in a suggest that they make something that smells like Christmas! I have to admit, this slime SMELLS AMAZING! Here are the supplies we used and links to the products I purchased from Amazon. 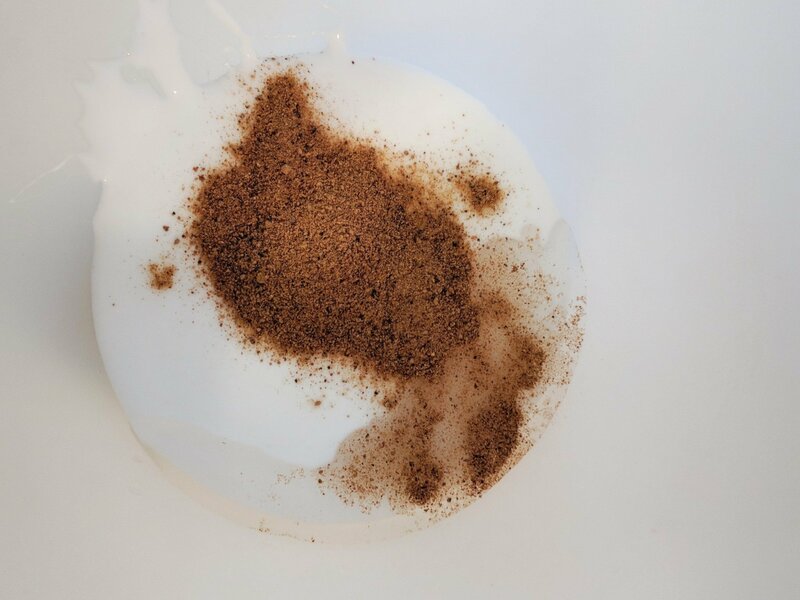 Once your ingredients are mixed together, the slime will pull away from the edges of the bowl. If everything works perfectly, you should be able to roll your slime and stretch it, without it sticking to your hands. If something doesn’t seem right, see tips below! Help! How Do I Clean Slime Off the Couch? I lost many good pillows and blankets before banning slime in our house, to the basement craft room. Glitter, paint, slime and all things sticky have been banned to the basement. But, I was so excited when I heard a trick for cleaning off slime that really works! The answer is VINEGAR! Saturate the area with vinegar and watch the slime clump together and easily wipe up. I can’t speak for every type of slime, but this works beautifully on the recipe we use. 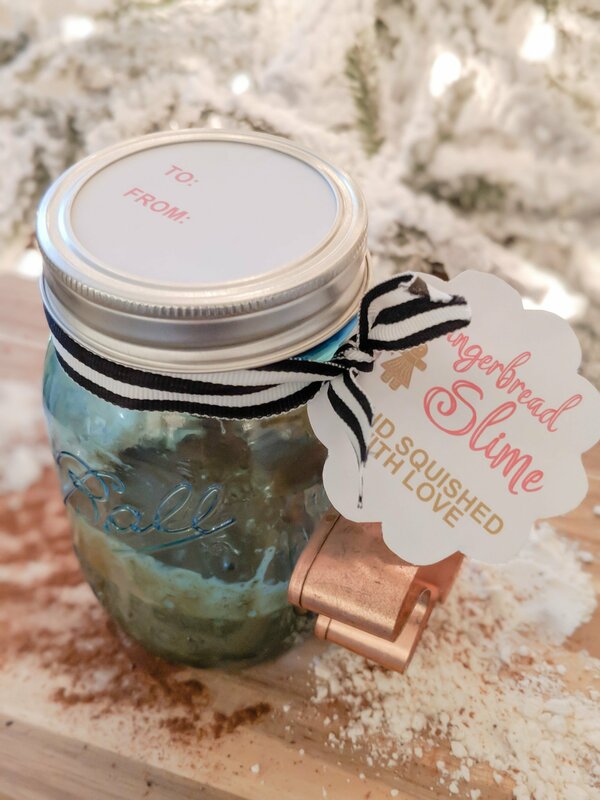 If you’re making this slime to give as a gift, you can put small portions in a zippered sandwich bag and staple a label to the top. You could also use a Mason jar and tie a ribbon around it! What a fun idea! 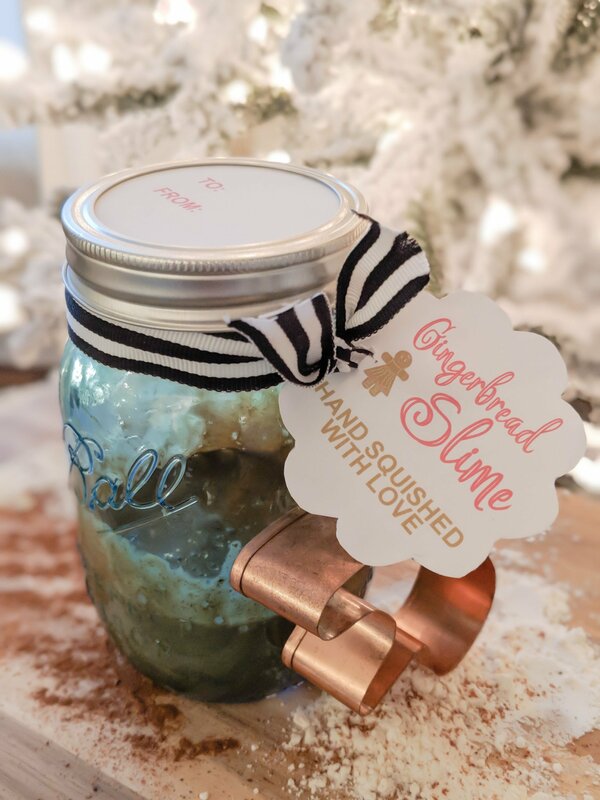 My daughter loves making slime and I’m sure she will love this one! I’m with you on detesting slime, but my kids love it too so I try not to stress too much either. 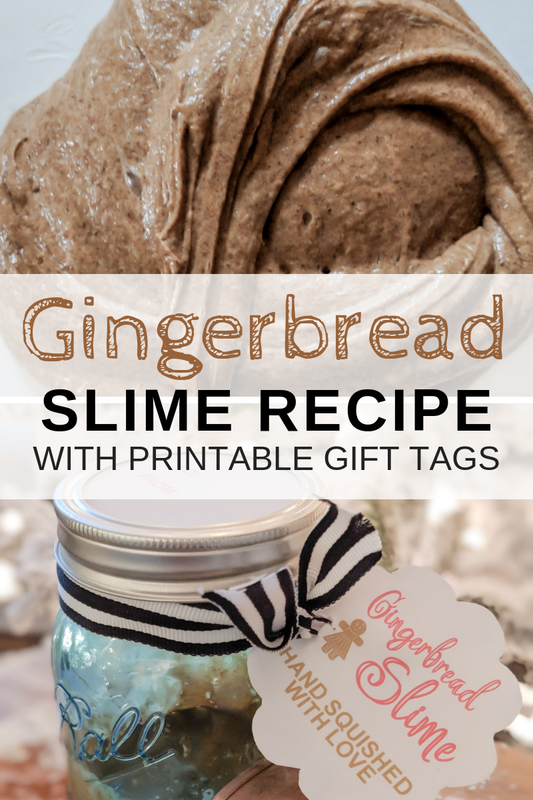 And this is such a fun gift idea for kids…who can resist gingerbread slime?! At least it smells good, right? Thank you for sharing and being a part of the blog hop. The slime craze is still alive and well! I love this gift idea! My youngest would love this, she loves to make slime!